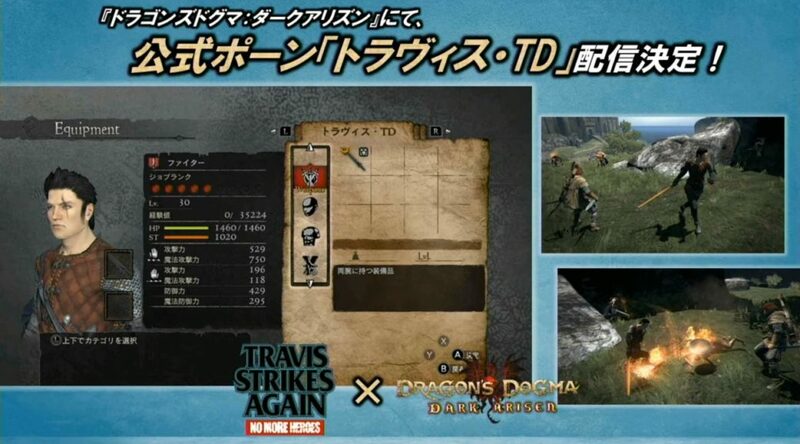 It looks like the abrasive Travis Touchdown will be intruding into Dragon’s Dogma: Dark Arisen for Switch! During a recent livestream, Suda51 himself revealed that Travis would make a cameo in Capcom’s dark fantasy adventure as a pawn character. Pawns are essentially NPC partners – with the Travis pawn donning his trademark hairdo and scar, while wielding a more medieval-looking fire sword. Check out the announcement below (from 43:08 – 47:13). Overall, it’s cool to see Travis get around the gaming industry like this! Let’s hope we see more huge collaborations like this from Suda51 in the future! Dragon’s Dogma: Dark Arisen will be hitting Nintendo Switch on 23 April 2019.